The black vine weevil, Otiorhynchus sulcatus, also known as the taxus weevil, feeds on a wide range of ornamental plants but is most destructive in its larval stage to yew, hemlock, rhododendron, and several other broad-leaved evergreens as well as to some greenhouse plants such as asters, cyclamens, and impatiens. As an adult it has a wide host range to include both deciduous and herbaceous plants. 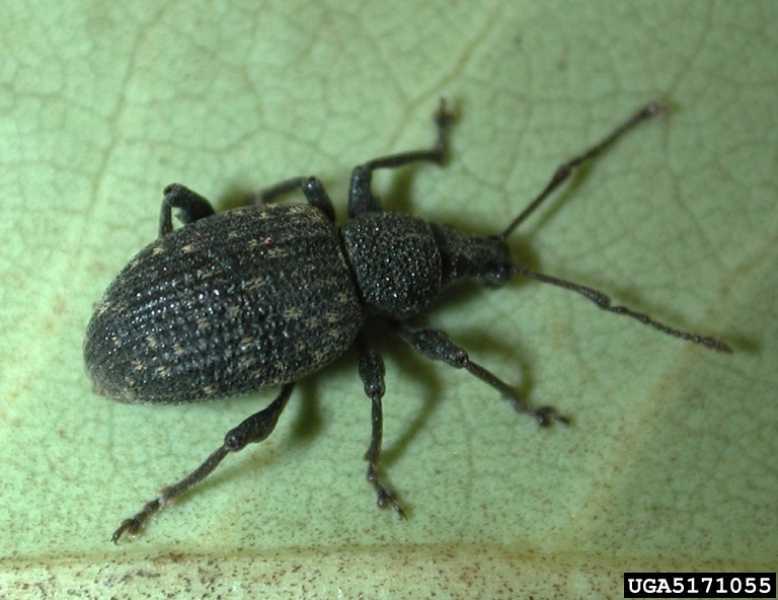 It is the most devastating of the root weevils throughout the northern half of the U.S. and Canada. 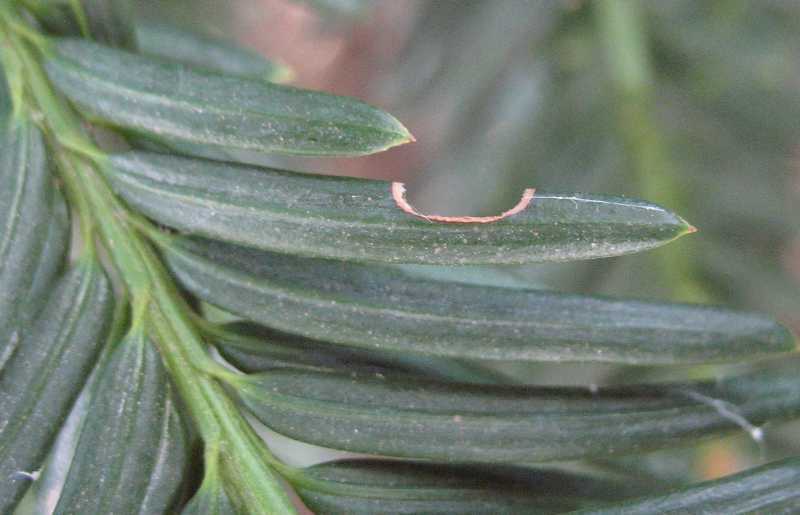 Adult black vine weevil injury on broad-leaved evergreens and other hosts consists of marginal notching of the leaves. 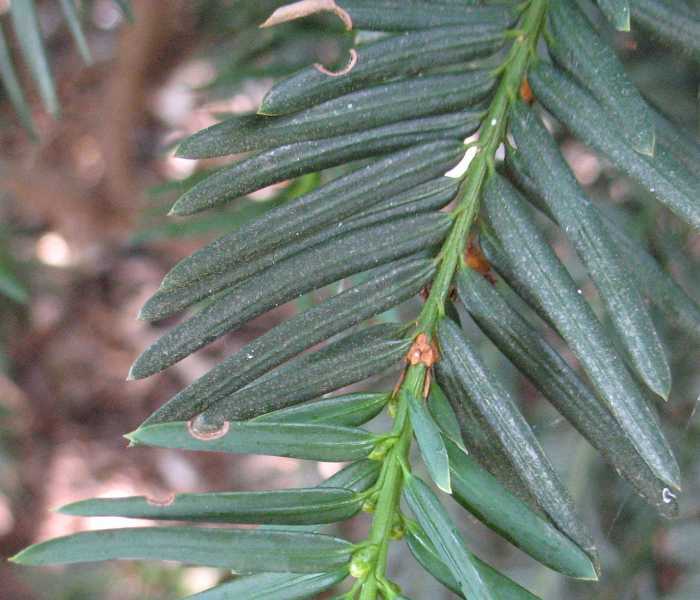 To detect weevil infestations on yew, examine the center of the plant near the main stems for notched and cut-off leaves. This damage is the result of adults feeding at night. The adult is 3/8 to 1/2 inches long, shiny, black, female, and cannot fly. It feeds only at night, and when disturbed, drops to the ground where it is virtually undetectable due to its coloration. 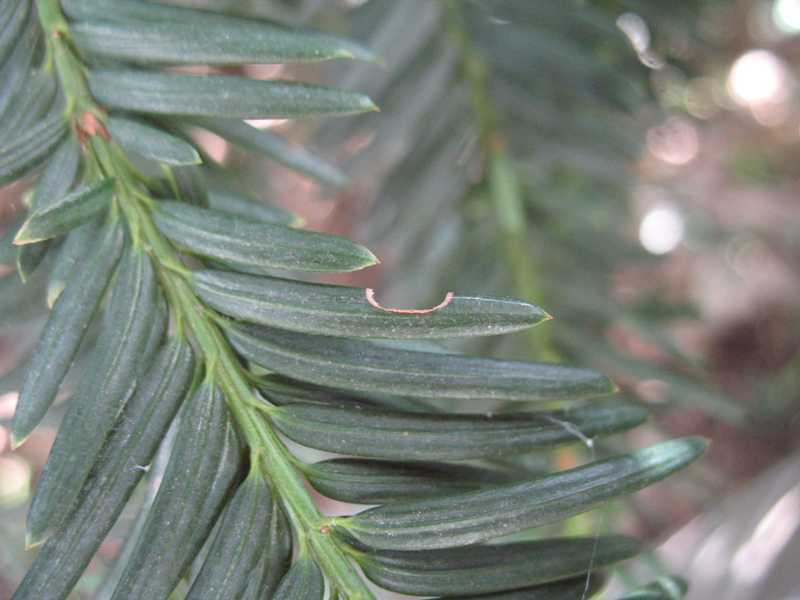 Adult feeding rarely causes serious plant injury, however the characteristic notches provide evidence that the pest is present and action is necessary to mitigate damage by the larva of the next generation. The larva causes the most damage by feeding on the roots and girdling the lower stems, disrupting the flow of nutrients and water through the plant. Its feeding may result in the death of the plant. The larvae are legless, C-shaped, and white with reddishbrown heads. They may be found at a depth of from 3/4 to 16 inches in the soil around the roots. Pupation occurs in the soil near the surface. Pupae are white with very prominent legs and antennae. 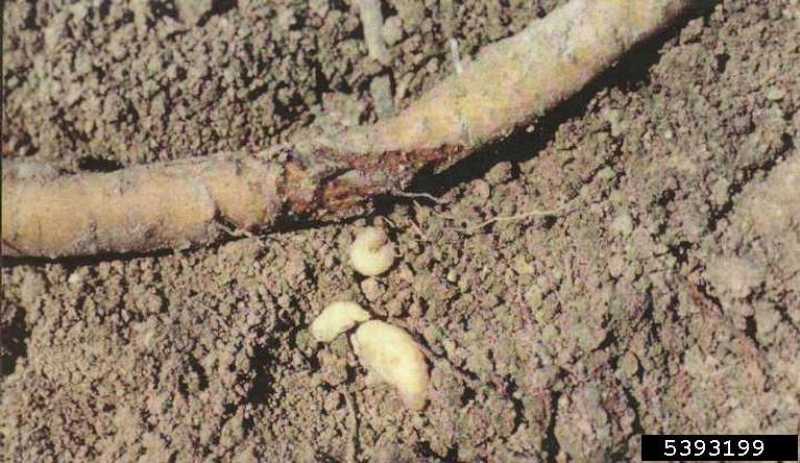 Partially grown larvae overwinter in the soil. Adults emerge from the soil in late spring and egg laying begins one to two weeks later. The female lays up to 500 eggs in the soil near the base of the plant over a period of two to three weeks. Larval feeding takes place from midsummer, when the eggs hatch, continues into the fall and then again in the spring. Occasionally adults overwinter, which complicates the life cycle, because eggs are laid earlier. There is usually one generation per year. The most vulnerable stage is the adult. 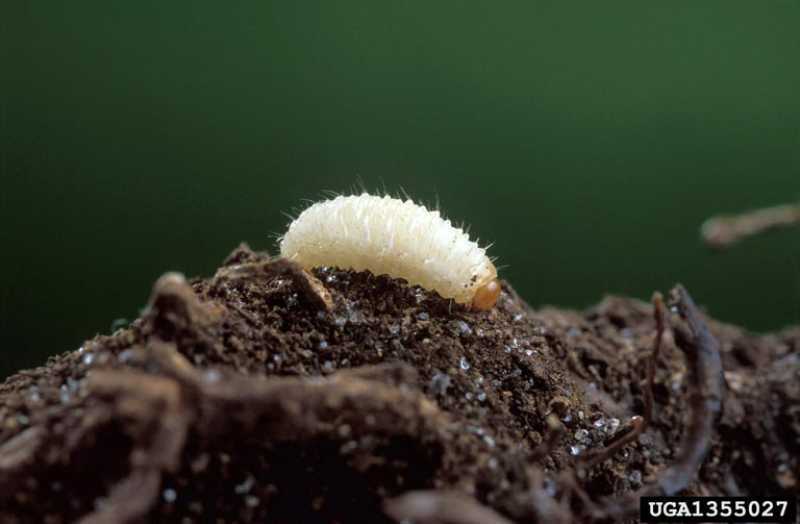 The larvae are much less vulnerable because they are protected by the soil. 1. Nematodes can be applied as a soil drench to control larval stagesof black vine weevil. Several species have been reported to be effective. The nematodes kill by entering the victim's body and reproducing. Two species are commercially available: Steinernema carpocapsae and Heterorhabditis heliothidis. H. heliothidis has been shown to be more effective against the early stages of the weevil at greater soil depths than S. carpocapsae. Nematodes can last three months in the soil, but soil temperature must be above 50 degrees F and the soil must be kept moist for nematode survival. Unfortunately, drenches are less effective under field conditions than in a greenhouse situation. 2. 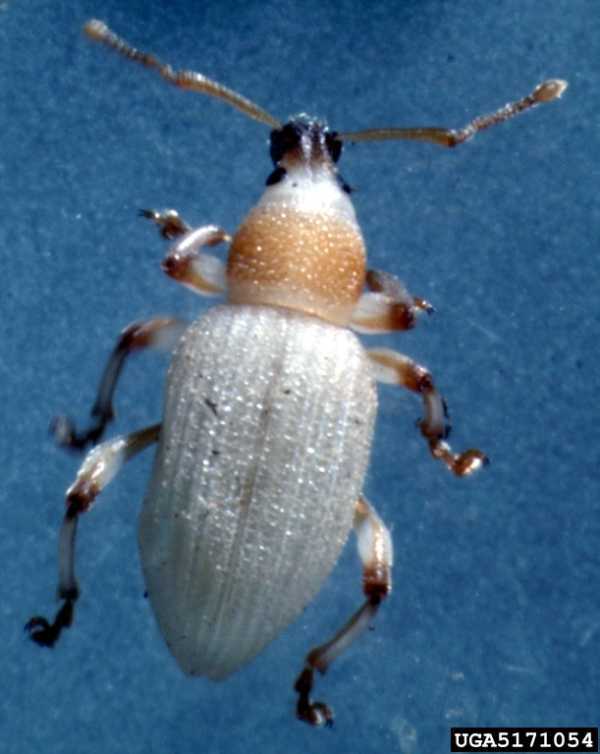 Since adults of this insect sometimes over winter, pesticides can be applied at the first sign of feeding on new plant growth. Look for the leaf notching as Spirea x vanhouttei finish blooming or while Weigela florida are blooming. 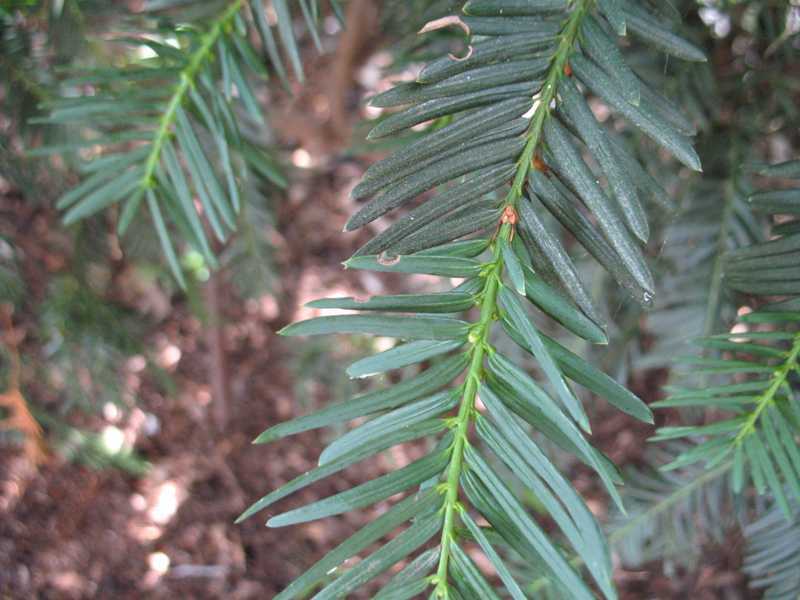 Chemical stomach poisons applied to the foliage are effective control measures. Pesticides registered for use include acephate (Orthene). azadirachtin (Bio-Neem) endosulfan (Thiodan), imidacloprid (Merit) and cyfluthrin. 3. Most of the weevils overwinter as larvae and emerge as adults when Hydrangea arborescens 'Grandiflora' is blooming. Scout for feeding damage again at this time. If adults are found, make a second treatment using the insecticides listed above. Apply to the foliage very thoroughly, allowing the excess to run off into the soil beneath the plant. Repeat at least twice at two week intervals. Strategy 1 is a strictly organic approach. For an organic approach to Strategies 2 and 3, consult the Organic Materials Review Institute (OMRI™) for appropriate Neem products.